It is 1966 in the town of Maumere, Flores, Indonesia. A man named Jan Djong is murdered in the jail by people he knew personally. Two little-known local documents written shortly afterwards trace the 20-year history leading up to that murder. Both depict Djong as a hazardous individual, yet both place the citizenship struggles he led at the centre of their narrative about him. His story exemplifies the agonistic twentieth-century struggles that people in many postcolonial countries have waged to be treated as citizens. Conventional citizenship theory has not known what to do with these struggles, which hardly fit the ideal mold of civic, deliberative movements for rights. 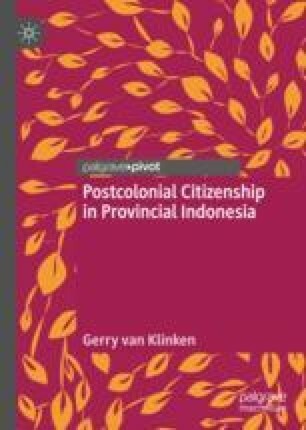 This book aims to rethink citizenship theory, so that it can explain popular politics in most of the world. A citizen is one who shares in governing and being governed.